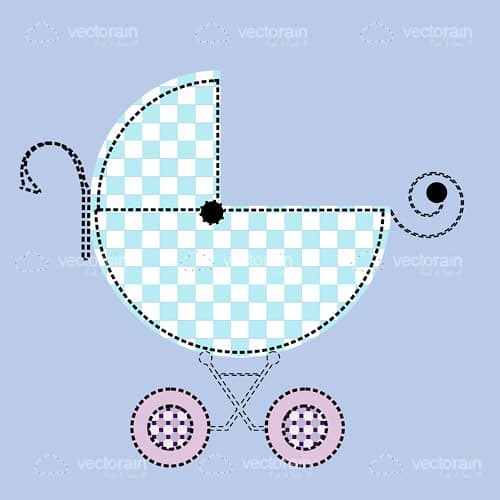 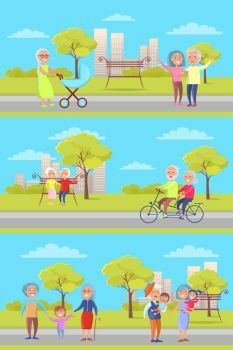 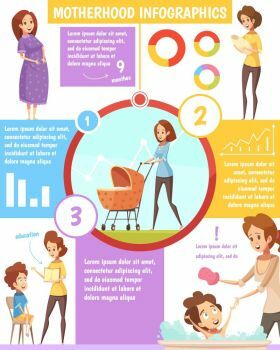 Check out this cute vector illustration with cut-out style, showing a classic and elegant baby pram or baby stroller with curvy, dotted lines outline in black and pastel colour filling including a chess-board styled, squared pattern in blue and white for the pram itself, and pink for the wheels. 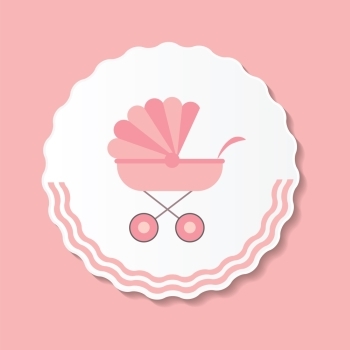 All against a lavender blue background. 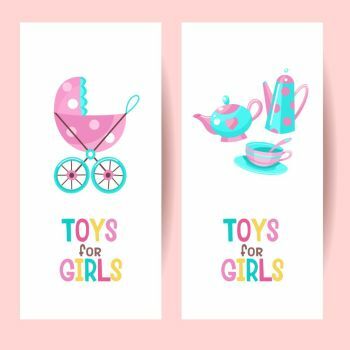 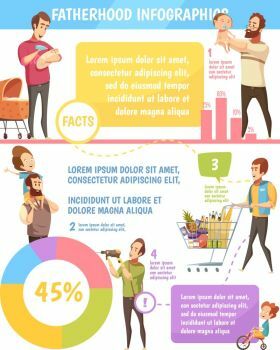 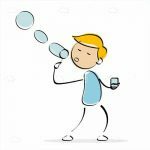 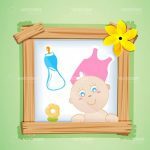 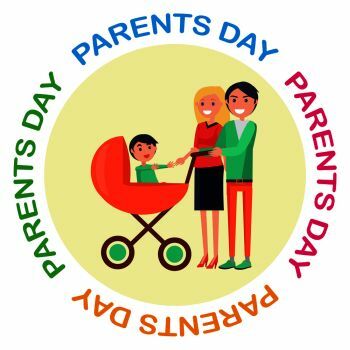 Ideal for baby and child themes, to use in websites, blog entries, adverts, cards and invitations, decorative banners, and more! 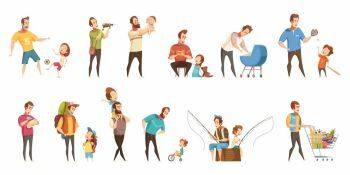 Get it for free in .EPS format and use it in your upcoming designs! 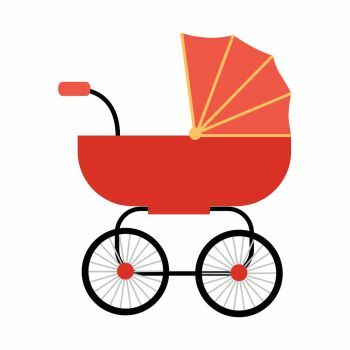 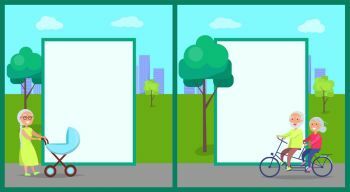 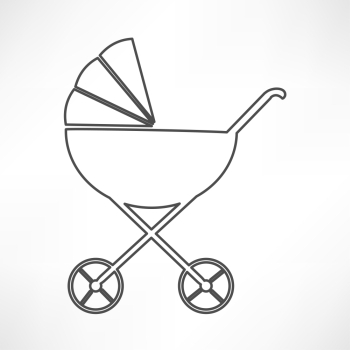 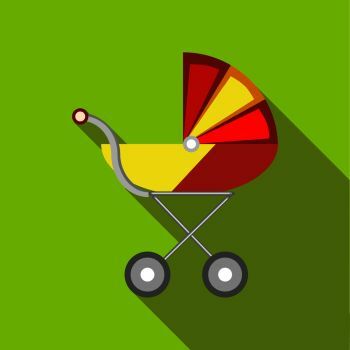 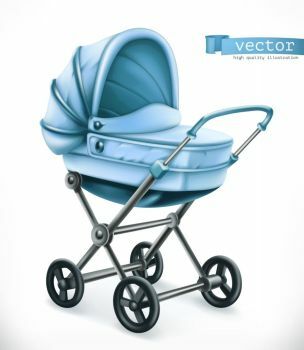 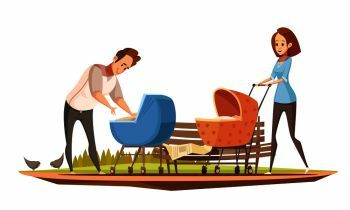 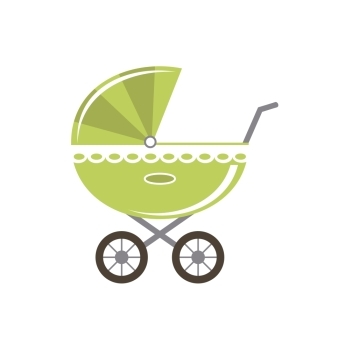 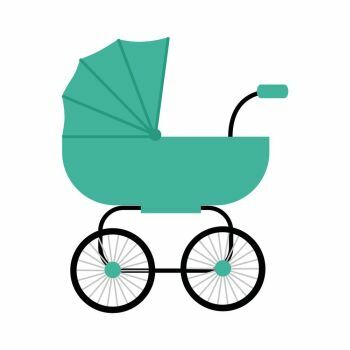 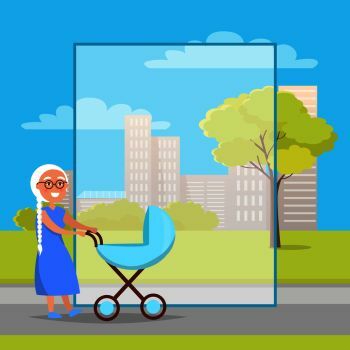 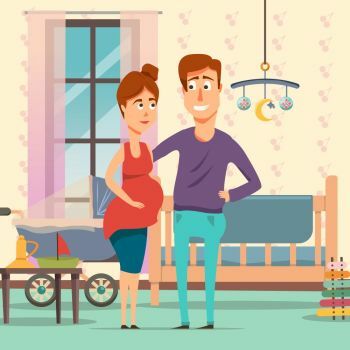 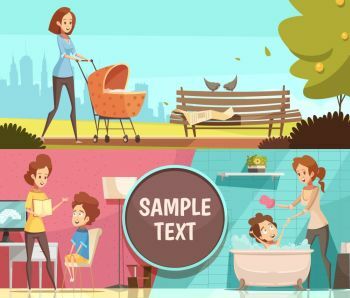 Find 888 more Baby Pram with Premium Vectors for as low as $ 0,04 per download at VectorFresh.